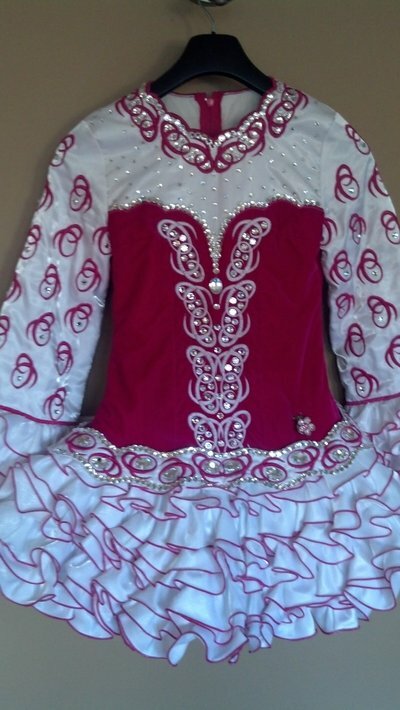 Beautiful SIopa Rince pink and white ruffle solo dress. With 475 Svarowski crystals, this dress sparkles! 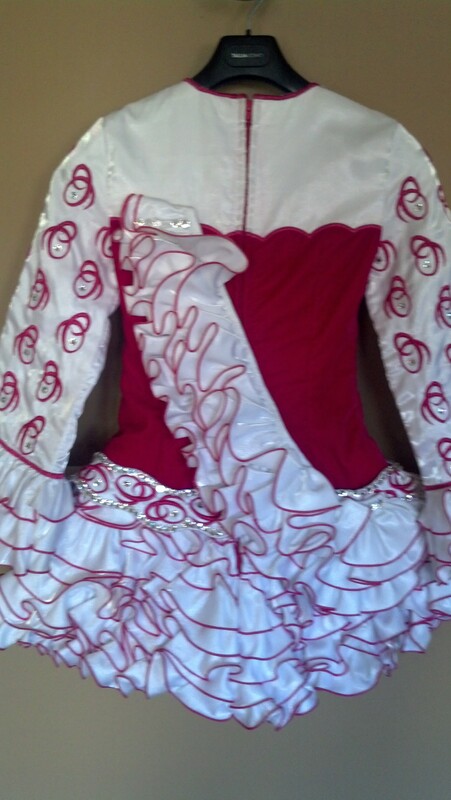 Comes with ruffle cape, hot pink spankies, and pink/white matching crown. Always stored flat in no-pet/no-smoking home. Selling due to growth spurt. Full length measurement is from shoulder to hem. 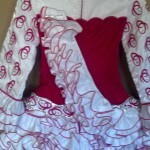 Dress has not been altered. There is room for let out and down. Asking Price: $850 OBO. Shipping costs are not included in the asking price. Sale is final.